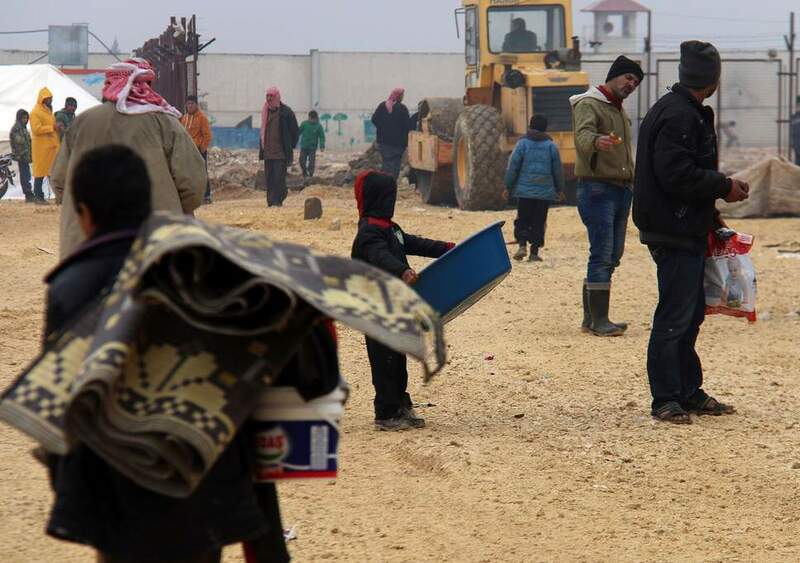 BEIRUT: The Syrian army has seized a chunk of territory from rebels in the southwest, Syrian state media and a war monitor said on Tuesday, the first major government advance in an offensive near the Jordanian border which has displaced tens of thousands. Meanwhile two Israeli missiles hit near Damascus airport overnight, state news agency SANA and the Syrian Observatory for Human Rights war monitor said. An Israeli military spokesman declined to comment on the reports. Syria’s southwest region is strategically sensitive because of its proximity to the frontiers with both Jordan and the Israeli-occupied Golan Heights. The United States and Russia, Syrian President Bashar al-Assad’s most powerful ally, last year agreed a “de-escalation” zone in the area that has helped to contain the violence there. SANA and media outlets run by Damascus ally Hezbollah said the Syrian army had taken control of the town of Busra al-Harir, the nearby Laja area and was now advancing further south. The capture of the area cut across an opposition-held finger of territory in northeastern Deraa province, where Assad has pressed his assault despite US warnings. The United States has told Syrian rebel factions they should not expect military support to help resist the offensive, according to a copy of a message sent by Washington to the commanders of rebel Free Syrian Army groups in the area. At least 45,000 people have fled the fighting in the southwest, heading toward the border with Jordan, the United Nations said on Tuesday. “We expect the number of displaced people could more than double as violence escalates,” Bettina Luescher, spokeswoman for the UN’s World Food Programme (WFP), said. The Observatory said the overnight Israeli strikes targeted warehouses belonging to non-Syrian militias loyal to the Syrian government which contained an arms shipment from Iran. Israel, concerned that Iran’s growing presence in Syria is a threat to its safety, has struck dozens of Iranian and Iran-backed positions in Syria over the course of the seven-year conflict.